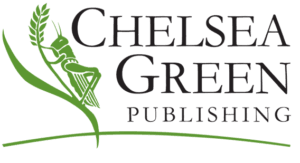 Chelsea Green is the leading publisher of books on the politics and practice of sustainable living, publishing authors who bring in-depth, practical knowledge to life, and give readers hands-on information. Chelsea Green specialises in books on organic and regenerative agriculture, gardening, nature & the environment, integrative health, sustainable living, ethical business, and more. In 2012, Chelsea Green decided to practice what it publishes and became an employee-owned company.